The idea for a History Heroes game originally came from a fantastic history teacher, called Harry Hastings, who brought out a couple of his own games in a very different look. He went on to be a headmaster and didn’t quite know what to do with the concept. What do you love most about the games you have created and which is your favourite set? Favourite set? That’s a bit like asking who’s your favourite child?! I honestly love all the games equally: they all have their own character. If I’m completely honest, however, I do have a soft spot for the amazing sweep and broad range of characters in both INVENTORS and WOMEN in History and I think that the WORLD WAR TWO game captures and imparts the scope of that war stunningly. Why do you think it is important to show children that learning can be lots of fun? Because it IS fun! Learning constantly unlocks doors to new worlds for us all and everything becomes more interesting, the more we understand. It also can be extremely entertaining in its own right. 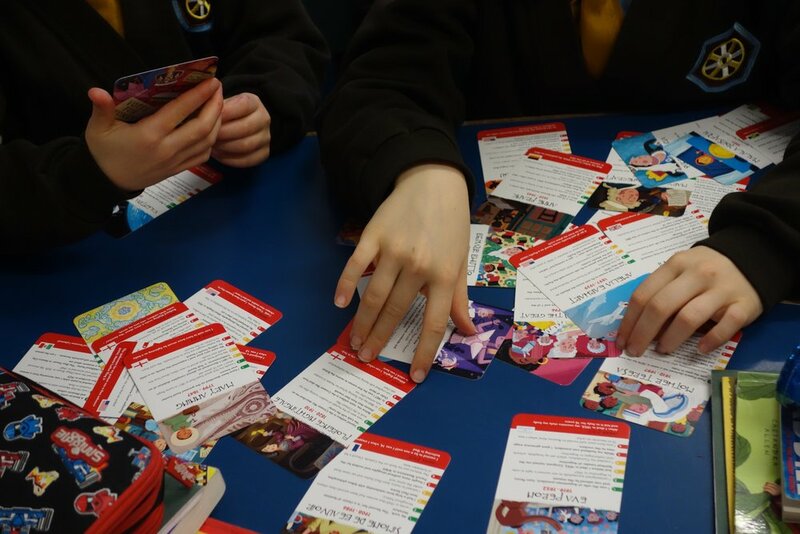 We ran a History Heroes workshop in a school with our SCIENTISTS game, which went down a storm. The children had great fun with lots of different activities and learnt so much without even realising. Our favourite bit of feedback, though, was from one child, who said, “I learnt so much, including that Pasteur didn’t invent pasta”. What advice have you got for parents and carers whose children are reluctant to learn new things? Break things down into small little chunks that are easy to digest and spark the child’s interest with relevant, fun little titbits without any pressure. 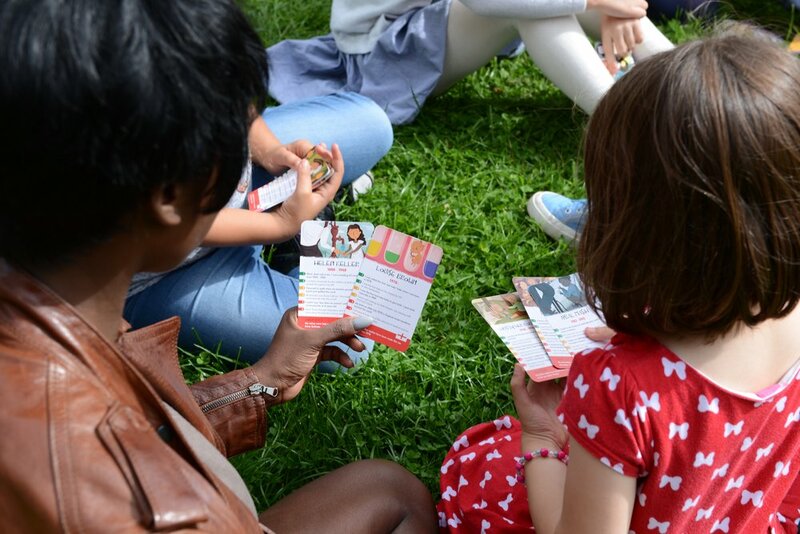 So, for example, with History Heroes games, we suggest that a great way of introducing children to the characters in the game is to get them to quiz their parents first. So, the children read out the facts and the parents have to guess who the characters are. Children love that because they love seeing their parents squirm when they don’t know the answers. They also absorb the information they’re reading aloud without any pressure and before they know it they’re quite fascinated by the fact that Tesla and Ford cars are called after those inventors for good reason or that Florence Nightingale invented the pie chart. They also love discovering ‘silly facts’ like our Joker facts. So, the fact that Neil Armstrong’s space suit was made by a bra manufacturer always lures them in! What are your hopes and dreams for History Heroes? Who is your favourite historian and why? I like any historian who can tell a compelling, factually accurate story. As you know, historians tend to specialise in different periods so it’s difficult to have a favourite unless you stick to one period of history. As you can imagine, I roam the centuries. I am particularly interested in 19th and 20th century history though so have read and like Antony Beevor a lot for his extraordinary research, detail and readability. As before, not good at choosing one favourite! When I was a child, I romped through the Chalet School Girls series. I imagined I was Jo, who was extremely naughty but was good at heart and became head girl! I didn’t. I also loved Antonie de Saint-Exupery’s beautiful story, ‘The Little Prince’. More recently, I think Malorie Blackman novels are cracking and I loved discovering Cressida Cowell’s ‘How to train your dragon’ series with my son many moons ago. If you could do anything else for the day what would it be? If you could spend a day with one of the PrenderPals who would it be and why? Wilbo the Walrus: I think we could have a laugh in the park together. He sounds very kind and fun and he loves reading, which is right up my street too. His favourite book was one of the books I used to love to read with my toddler son of a night time. He’s nearly 17 now! 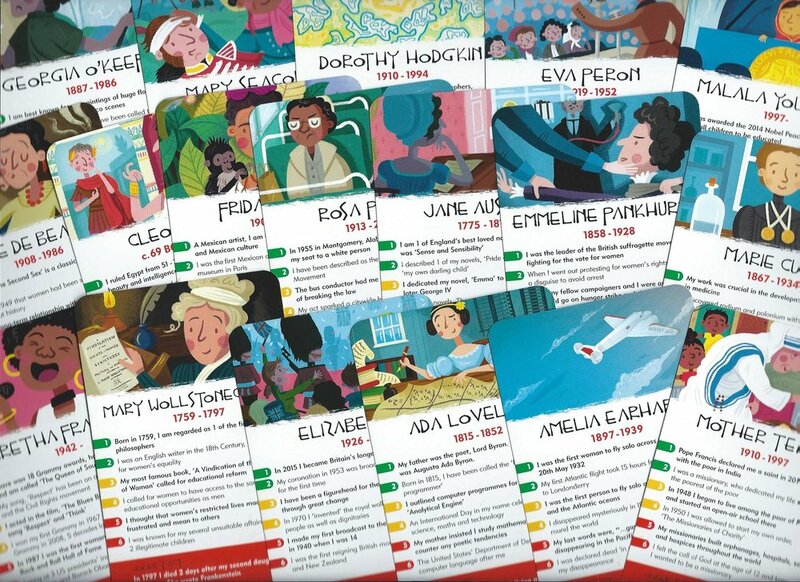 We are huge fans of History Heroes and hope to see them in shops, schools and museums everywhere in the coming years. If you would like your very own set of History Heroes, here is the link to the shop on their website or you can find them on Amazon.